Virtue came from Grace, Warmth, and Motion. Conformity of one's life and conduct to moral and ethical principles. A way of moving that is smooth and attractive. $1,265.00. A symbol placed upon a staff to indicate the name and pitch of a tone. The two clefs have two curves that meet in the center. This is a beautiful piece for anyone who appreciates music. 20" x 18", $1650.00. 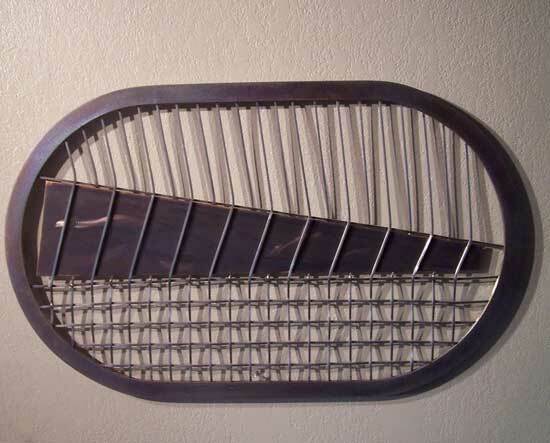 A woven stainless steel stock. 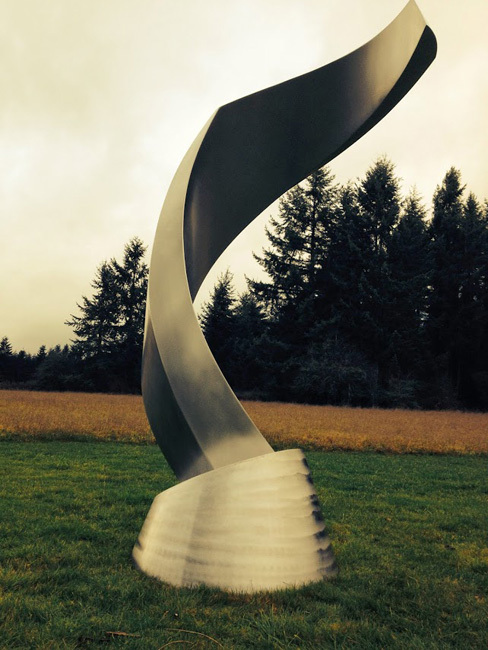 A hex-formal solid piece in the center for sale with beautiful woven stainless steel on the outside embracing it. 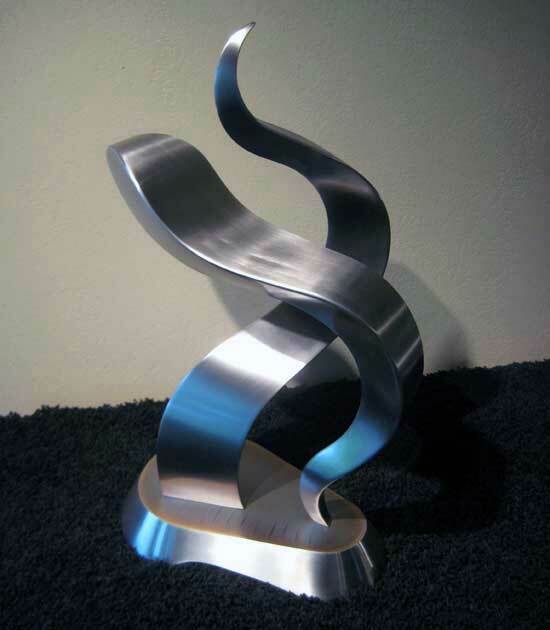 This piece is 18" tall x 13" wide for $1,475.00. 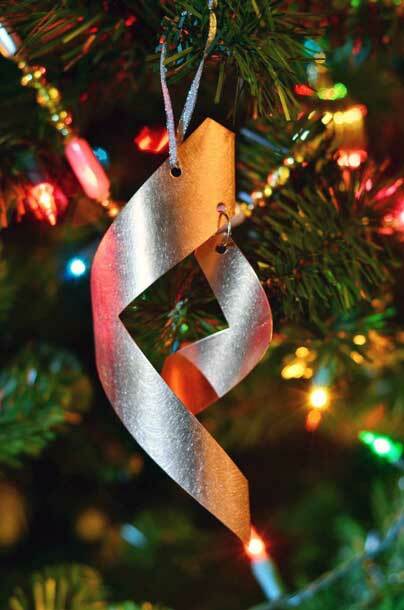 This piece shows the beautiful metal ribbon placed upon a Christmas tree, with lights reflecting off of it. 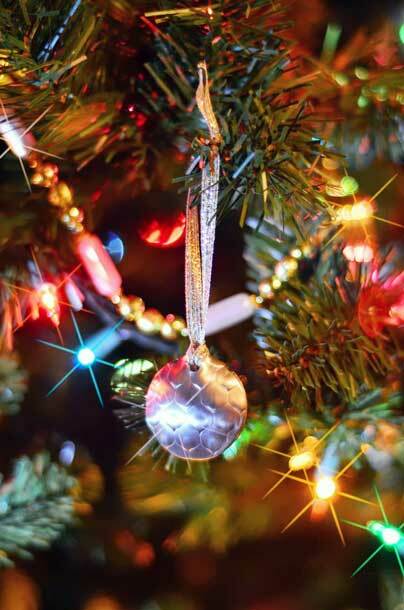 New designs are made every year, ranging in price from $15.00 - $45.00. 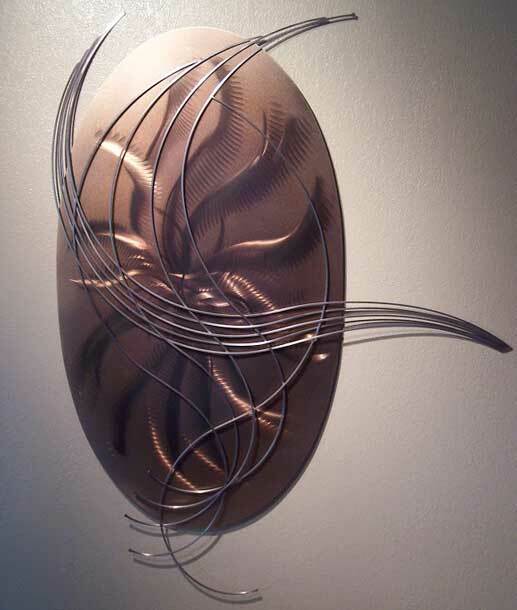 This was an experiment in weaving stainless squarebar and antique brass centerpiece, with a colored stainless frame. 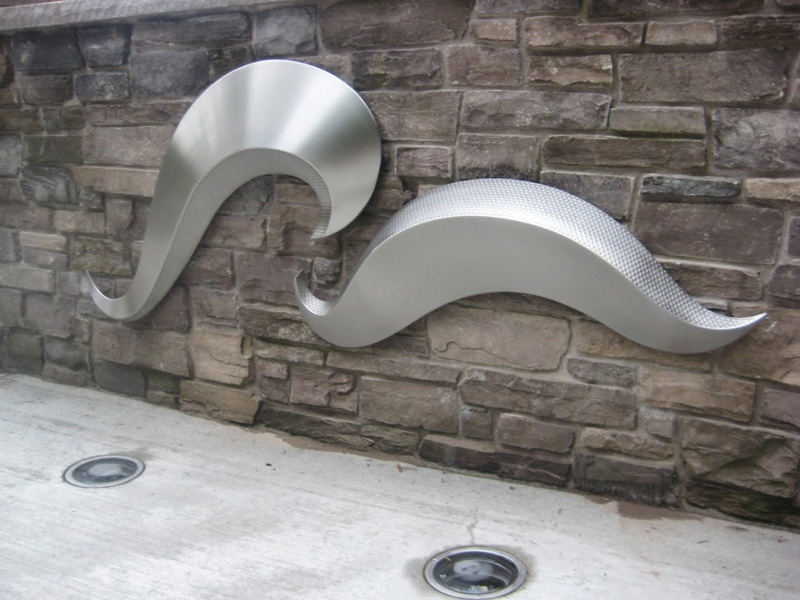 This was a tribute to a high school art teacher. 30" x 18" and was donated to the boys and girls club for a fundraising project. This project brought in $500.00 for the group. 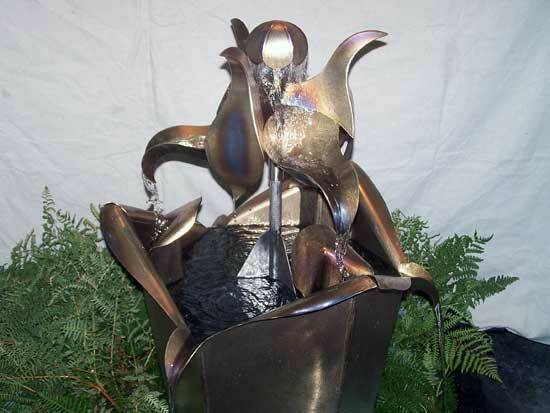 An elaborate work of beauty in this metal waterfall. It includes a bio filter for a garden pond. The center is filled with gravel for filtering pond water. $7,300.00. 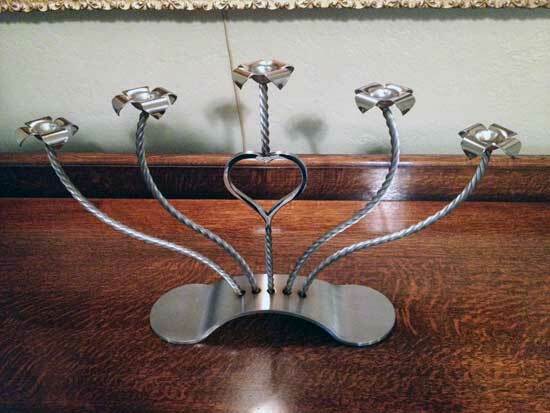 This polished, stainless steel candelabra has a special place in my heart as it was made for my daughter's wedding. 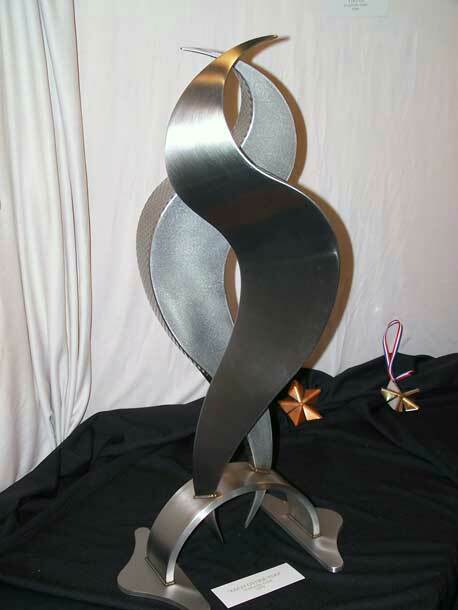 You too can be blessed to have this piece made for a special event, or just to have it's beauty grace your home. This piece is 12" x 20", but can be made in sizes to your specifications. The price is $800.00 - $2,000.00 depending on the complexity of the size you choose. 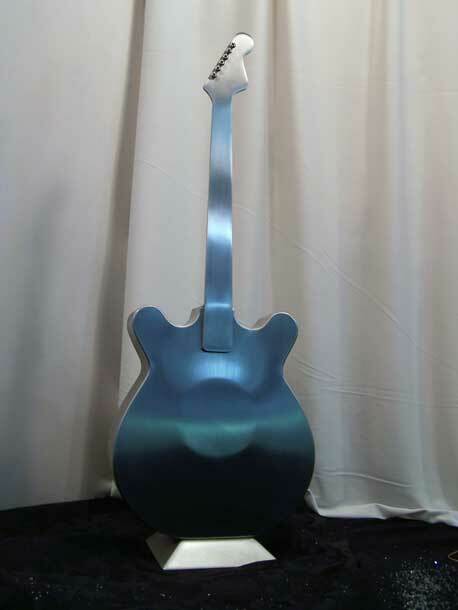 In honoring the passing of a loved one who enjoyed the beauty of a fender guitar, this classic fender remake urn is available. 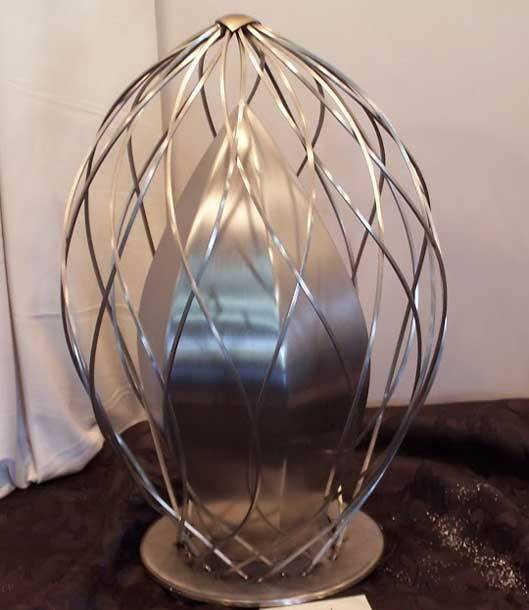 The dimensions of this urn are 24" tall x 11" wide for $3200.00. 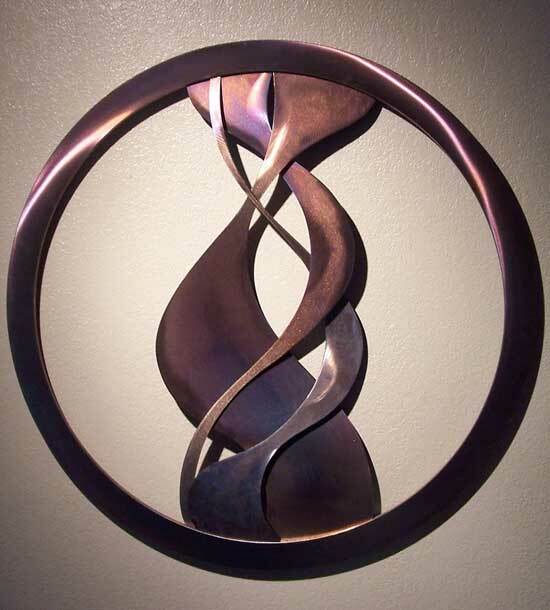 This beauty is the reflection of two individuals embracing one another. 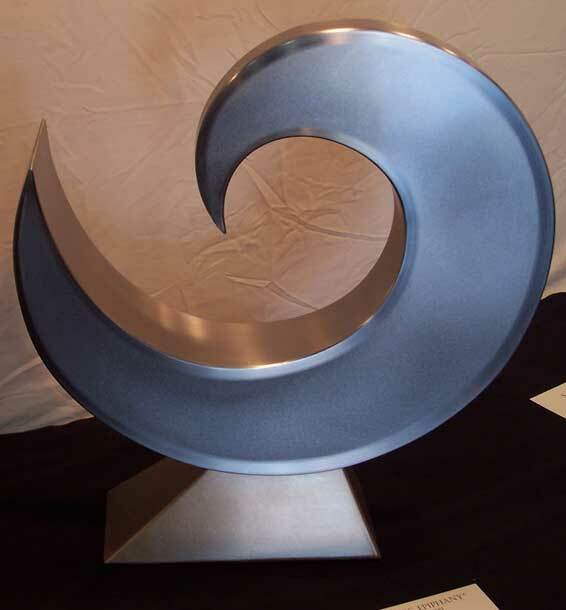 This piece is textured stainless steel and polished steel. It stands 30" tall and is 15" wide at the base. The cost for this beautiful art piece is $2,775.00. Grace grew from a collection of curves that began as a completely different design. As I formed the parts, the shapes fit themselves together to form the final results. 25" tall x 15" wide. $3,495.00.